After the Phönix D.I, it's time to learn something more about the Nieuport Ni.11, one of the Entente fighters used during World War I. The Nieuport 11, a single seat fighter, was affectionately known as the "Bébé" (Baby). It was developed from the Nieuport 10, originally designed by Gustave Delage for racing to compete with the Morane N, as it was fast and extremely maneuverable. It was called “Bébé” because it was a lightweight, reduced size version of the Nieuport 10. 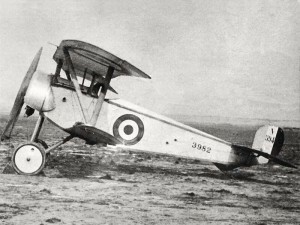 This aircraft saw service with several of France's allies, and gave rise to the series of "Vee-strut" Nieuport fighters, remained in service until 1920s as a trainer plane. An Entente Nieuport 11, the “Bébé”. 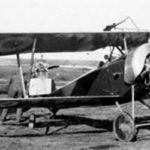 Even if Nieuport 11 had a low-power motor, it had a good speed, good maneuverability, and most importantly, simplicity and ease of piloting, which distinguished it from the Morane N. As a result, the aircraft became extremely popular among pilots. Its serial production quickly increased, and it would become the main fighter in the French aviation. The French liquidated the German superiority in the air, seized in the summer of 1915 by the first Fokker fighter. The Nieuport 11 had a full-sized top wing with two spars, a lower wing of much narrower chord and a single spar, and its Interplane struts in the form of a "V" joined it's wings together. This layout reduced drag and improved the climb rate, which offered a better view from the cockpit to the pilot. The “Bébé” was armed with a Lewis machine gun on the upper wing that, just as its predecessor did, the Nieuport 10, was shooting out of the action of the propeller. During a fight, the pilot had to unfasten the straps and get out of the cabin to recharge the machine gun. It was a very difficult manipulation, because at the time of recharging the pilot remained completely defenseless and could simply fall out of the airplane. The problem was partly solved in April 1916, when Sergeant RJ Foster of RAF set the Lewis machine-gun of his plane pilot, Captain HA Cooper, on a curved track. As a result, Cooper had the ability to stay seated and not have to get up from his chair to drop the gun down and drive to change the jammed valve. 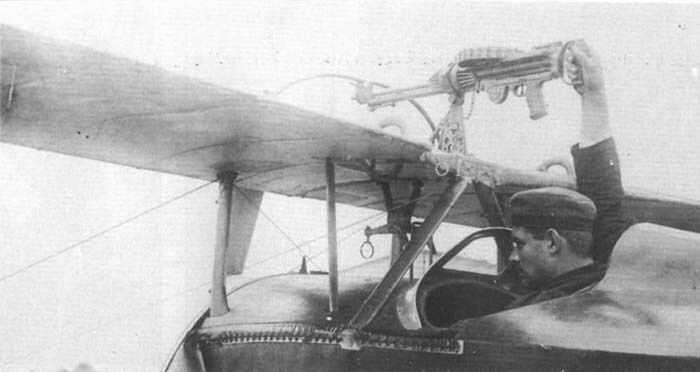 With Foster's mount, the pilot was able to recover the weapon in the cockpit and change the magazine. And, thanks to a series of blocks, it could then also shoot with the machine gun fixed at an intermediate position. Some Nieuport 11s and 16s were fitted to fire Le Prieur rockets from the struts for attacks on observation balloons and airships. These planes were able to carry eight rockets with an electrical fuse installed on the wing struts and angled upwards. A view of the machine gun of “Bébé” installed above the wings. Nieuports 11s and 16s were widely and successfully used on all fronts of the First World War. However, their military careers were none the longer. The Nieuport 11 reached the French front in January 1916, and 90 were in service within the month. 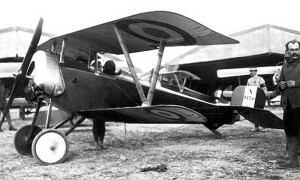 By March 1916 the “Bébé” was being replaced by the improved Nieuport 17, although Italian-built and Russian examples remained in first line service. Thereafter the Nieuport 11s and 16s continued to be widely used as trainers. The Nieuport 11 was used by all the best French aces, such as Jean Navarre, Georges Guynemer, Georges Madon, Charles Nungesser, Armand de Turenne, Rene Fonck, as well as the British Albert Ball and Edward Mannock and Canadian William Bishop and the Italian ace Francesco Baracca. A Nieuport 11 ready to fly! 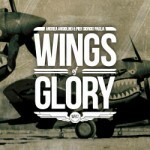 In Wings of Glory, the Nieuport 11 is featured in three versions, used by Entente aces as the French Jean Chaput and Armand de Turenne, and the Italian Giovanni “Giannino” Ancillotto. 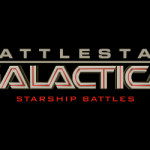 These planes use the "E" maneuver deck, a deck with so many available maneuvers that it's ideal to represent a maneuverable fighter as the “Bebé” was. The Nieuport 11 Airplane Packs come with two additional cards that introduce the optional rules “Higher machine gun” (presented in two versions, for Basic and Standard rules, and for Advanced rules) and two cards for optional equipments, "Rockets Only" and "Rockets and machine gun". The optional rule “Higher machine gun” allow the machine gun on the upper wing of the Nieuport 11 to be used to fire upward. Playing with Basic or Standard rules, if a pilot does not execute a steep maneuver, it can fire against an airplane overlapping its base, if part of the target base is in the firing arc. The shot is considered to be short range. Playing with Advanced rules, if Altitude rules are in use, and the airplane does not execute a steep maneuver, it can fire at long range at an overlapping airplane in its firing arc exactly one level above. It can also fire at short range at overlapping airplanes in its firing arc at the same altitude level, unless the Nieuport 11 has climb counters and the target does not. The Nieuport 11 agility suffered when both rockets and machine gun were used, and the other two additional cards, "Rockets Only" and "Rockets and machine gun", allow the player to decide to use just rockets, or just the machine gun, or both. A portrait of Jean Chaput. A flying ace credited with 16 aerial victories, Chaput was born on September 17, 1893, in Paris. He started his career in the infantry, in 1913, and was transferred to the French Air Service in 1914. In February 1915, he got his brevet and was assigned to the MF28, quickly rising in rank. On 12 June 1915, at the Escadrille C28, he scored his first victory while flying a Caudron, when he forced a Fokker Eindecker to land. He was awarded the Medaille Militaire for this action. In March and April 1916, he achieved two more victories while serving – according to some sources - in the “unit d’Angers”. There is no evidence of a French squadron of this name, and other sources mention Chaput at the Escadrille N31 at the same time. Most likely, the source of this conflicting information is that the N31’s commander was Lieutenant Alfred Auger. As the N in the name indicates, this squadron flied Nieuport aircrafts, but it was also equipped with some Morane-Saulniers– in fact, until September 1915 it was called MS31. In May 1916, Chaput was transferred to the Escadrille N57, and between 22 May and 23 July he downed an observation balloon and four German airplanes. 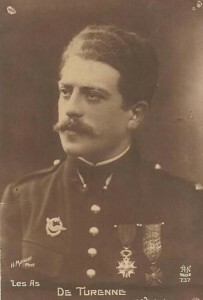 On June 4th, 1916, he was honored as Chevalier de la Légion d’Honneur. On 24 August, he was again severely wounded; this time, he would not return to duty until early 1917. He would then go on to score a double victory on April 5, 1917, and two more wins in May and June that year; the latter was shared with Joseph M. X. de Sévin. After another lapse in his winning ways, on March 23, 1918, once again Chaput scored two victories. In April, he assumed command of SPA.57 but was killed in action the following month, when his SPAD S.XIII was shot down by Hermann Becker of Jasta 12, near Montdidier. The airplane pack featuring the Nieuport piloted by Chaput includes an Ace Card with the "Perfect aim" skill. A real French ace, Armand de Turenne. 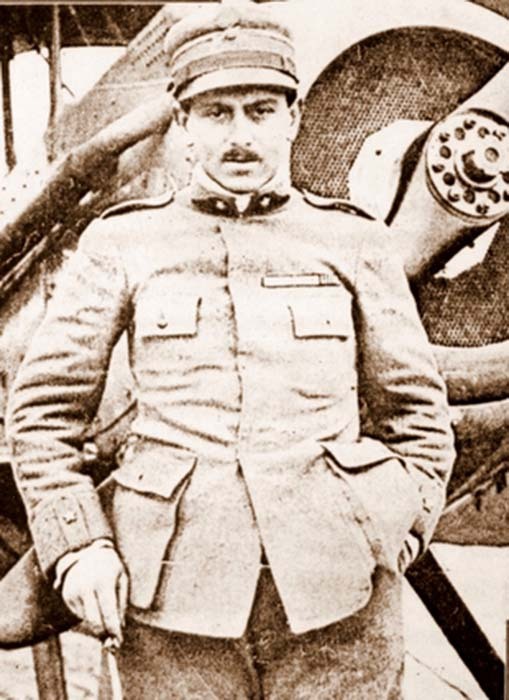 Armand Jean Galliot Joseph de Turenne, with his 15 aerial victories, was one of the most famous French Aces of WW1. He was born April 1, 1891 in Le Mans, Sarthe, and he joined the Army for a period of three years in April 1909. He was assigned to the 10th Regiment of hunters where in his three years he reached the rank of Maréchal des Logis, before returning to civilian life. But he felt himself unable to accept his new civilian status, so he decided to re-engage in the Army in February 1913 and he was assigned to the 21st Regiment of Dragoons. When the war broke out, de Turenne requested his transfer in aviation, which was accepted in July 1915. After being named Lieutenant in November, he obtained his Military Driver license in December 1915. He joined the Escadrille N48 in June 1916. De Turenne claimed his first victory on November 17, 1916, against a German Albatros. Five months later he would be victorious again, defeating a D.V Albatros, in April 1917, with the help of René Montrion. After three months, he shot down two Albatros D.V, a victory he shared with Jean Matton. 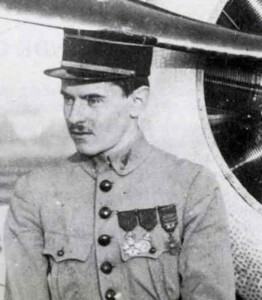 Within the Escadrille N48, de Turenne recorded two more wins and in August 1917, he achieved his fifth victory entering the circle of the flying ace. In July 1917 he was made a Knight of the Legion of Honour, and received the Croix de Guerre. He was then transferred to the Escadrille SPA 12, where he took command, continuing his winning streak. In January 1918, he shot down an Albatros D.III, above Alémont, and two months later, in March, he shot down a German two-seater, his eighth victory. 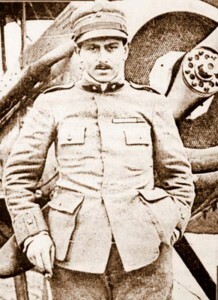 Between May and September 1918, Armand de Turenne won seven additional approved aerial victories. Among these victories, after shooting an observation balloon together with Emile Reignier above St. Genevieve, he shot down a Fokker D.VII, over Ville-sur-Tourbe, with Lieutenant Herlemont and Sergeant Maurio. Thirteen victories of Armand de Turenne were shared with the drivers of its various squadrons and only two were won alone. Armand de Turenne received the Croix de Guerre with 11 Palms and a Bronze Star, the Cross of the Italian Value, the Italian War Cross, Military Cross the Columbia and the Belgian Croix de Guerre. He remained in the Air Force after the war, and he was made Commander of the Legion of Honor on July 2, 1931, and promoted to Colonel March 15, 1937. The airplane pack featuring his Nieuport includes an Ace Card with the "Team Coordination" skill. Giannino Ancillotto, one of the greatest aces of Italian aviation. Giovanni “Giannino” Ancillotto came from a wealthy landowning family, and he was born in 1896 in San Dona di Piave, Northern Italy. He was interested in all types of engines, but in particular was struck by the passion for airplanes. He was studying engineering at Polytechnic University of Turin when World War I began. 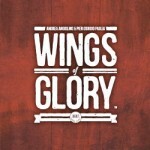 Ancillotto volunteered for pilot training and he was accepted with the rank of Soldato (Soldier). After basic training, he attended to Gaberdini Flying School and in March 1916, he graduated near the top of his class of 80. After proceeding with his instruction in Busto Arsizio and Malpensa, he received his first assignment to 114a Squadriglia. On 31 August 1916, he was promoted to Caporal and after two months he was transferred to 27a Squadriglia, remaining with them until the end of 1916. Giovanni Ancillotto was accepted as an Aspirante and he was transferred to 30a Squadriglia, in February 1917, remaining there until April 1917, earning a Silver Medal award for Military Valor for his reconnaissance work. Ancillotto, thanks to his knowledge of aircraft engineering, was selected for conversion training on Nieuport fighters, taking gunnery school at Pisa. Then he was transferred to 80a Squadriglia, a fighter squadron that was involved in the Battles of the Isonzo, and there Ancillotto finally proved his abilities as an Ace. He scored his first four aerial victories with this squadron between October and November 1917. After he moved to another squadron, the 77a Squadriglia, during the Battle of Caporetto, Ancillotto fought against Austro-Hungarian observation balloons, destroying a lot of them, attacking tirelessly. Thanks to his valor, he was awarded a rare Gold Medal for Military Valor, in March 1918. His glorious deeds included flying night patrols, shooting down two Austro-Hungarian Hansa-Brandenburg C.Is inheriting a third Silver Medal for Military Valor. In September 1918, he was withdrawn from combat to serve with the Commissariato Generale Aeronautica (General Commissariat of Aeronautics), but his daring taste for battles pushed him back to combat for the war's final offensive, the Battle of Vittorio Veneto, where he scored his final aerial victory on October 27, 1918, when he shot down an opposing Pfalz D.III. 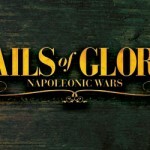 "Giannino" Ancillotto ended World War I as a Tenente, covered with honor and medals for his valor. 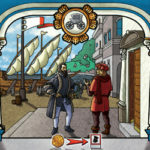 The Ace Card of Ancilotto's airplane pack presents the "Acrobatic Pilot" skill. Information sources: The Aerodrome, Airwar.ru, Their Flying Machines, WW1aviation.com, Wikipedia, 3 Pilots, One War, Ciel de Gloire, Comune Ponte di Piave, Avia Dejà Vu.